It’s been too long since I told an elephant joke. When I was little, I carried this book around making the adults miserable. Why stop now? How long do Rheumatoid Arthritis patients stick with Biologics? There is a lot of variation about when to change Biologics for Rheumatoid Arthritis. I think the quickest I saw someone burn through Biologic options was 5 in 9 months. That’s probably an extreme example, but I have been surprised at how differently doctors treat this questioon. This is one of issues where Rheumatoid Arthritis care is so diverse, a topic of another blog I have in progress. I’ve often wondered what’s right. How long do have to stick with a Biologic for Rheumatoid Arthritis before giving up? Does anyone know? Why should we care how often we change Biologics? It’s simple: There is a limited supply of Biologics, so it makes a big difference. It’s entirely possible to run out of options and I’ve seen it happen. Changing Biologics can also lead to another ironic problem. If a Biologic is working modestly at one point, it may not work as well if it is tried again at a later time. Sometimes Rheumatoid Arthritis patients are more likely to have developed resistance to a Biologic when they try it a second time. A recent study published this month examines how long Rheumatoid Arthritis patients took to respond to Biologics. In a study of 51 patients at Mount Sinai Hospital in Toronto, a significant number of patients went into remission after six months who had not responded that well at three months. Similarly, a number of patients reached “low disease activity” after six months instead of three. Read the details of the Biologics / Rheumatoid Arthritis study at this link in Rheumatology News. The majority of the patients in the study eventually responded very well, but I have two hesitations regarding the study. It is a small single-center study, which means that all of the patients were treated and rated by the same clinical personnel. If they had any bias, it could not be balanced by other contributors. Second, while they used established numerical standards to determine remission and low disease activity, I may also wonder about the judgments which lead to the scores in the first place. The reason is that we do not have a way to know the tendency of this particular center to declare patients as “controlled” or “clinical remission.” I have a healthy skepticism born from studies I’ve read and from hundreds of experiences with RA patients who report that their doctors label them better than they consider themselves with regard to disease activity. My rheum docs have always strongly urged me to wait six months before switching to a new Biologic. That’s been true even if I have had negative side effects and no benefits at all. It has been frustrating. At least I have no doubts in my mind about those Biologics. I know for sure they didn’t work for me. Have you changed Biologics? How many times? How long did you wait? Did you or your doctor make that decision? Or did you make it together? Answer: Because if it were small, white, and smooth, it would be an aspirin. One more! Q. How do you get down from an elephant? A. You don’t. You get down from a goose. ← Hope for Alzheimer’s Disease from Rheumatoid Arthritis? this is such a good post. i have also had the same question in my head. well, i only started on biologics two years ago. my doctor at that time recommended enbrel because it was the latest biologics out in the market. he did mentioned remicade before but that if i only have enough savings because it’s expensive. i had two years on enbrel. right now, he’s suggesting actemra as this is one of the latest in RA treatment. and again it’s expensive here so i haven’t had any biologics for the year yet. and my parents didn’t agree that i be one of the subject for the testing of actemra here. i can say my doctor is basing it on what is new in the treatment and i’m thankful that he lets me and my family decide on what actions to take and doesn’t insist on his. Good luck to you! I hope you can start a new one soon. I guess if you have to pay for it, then it’s good they let you decide! So you don’t have kind of coverage which helps pay for it? as always, your blogs are very helpful. God bless! Nancy, Good luck on the Simponi! Deb just posted on the Comparison of Biol. post looking for someone else who knew about Simponi. I told her I don’t know very much. I had Enbrel on hand too and Iwas able to donate it to a patient in need via my doc. Please try to donate it if you can find correct channels you are comfortable with (a doc ususally). Another thing – if you don’t get progress soon – might be to increase the mtx. I know many people at a higher dose than that, including me. Nancy, I don’t follow the FB board, but I thought I’d reply here since you’re talking about it: I just went off Simponi. I’d had it for 7 months and had major sinus or throat infections every month start within 7-10 days of my shot. So I can’t really speak to how well the Simponi worked, as I spent more time off it than on. None of the other biologics have struck me like this. Please take good care of yourself & avoid sick folks! Other biologics: I took Enbrel for 18 months and it worked really well for the first year. After that, it worked less and less as time went on. That’s when I switched to Simponi. The doctor took me off that last month (he agreed with my PCP that I was having too many infections) and I just had my first Humira injection a week and a half ago. Lisa, Good luck with Humira. It was my favorite one so far. LOL. It’s great to reply here instead. Posts here are able to be found in the future & end up being read by more people since FB just disappears down the scroll in a few hours. I’ve gone through Enbrel, Humira and now Rituxan. Enbrel was well over a year and it helped a lot but I was hoping something would work better. Humira seemed exactly the same to me. I’ve got a much better life now with Rituxan although no where near my old self. I seem to need treatments of it alarmingly often though (every 3 months). A treatment consists of two infusions at a two week interval and each takes up to 6 hours. I wanted to write here just because it really caught my attention that you’re supporting google ads on your website against Obama health Care. Well, I don’t want to sound biased, but I guess that in such an horrible dissease like RA is, not supporting HC reform supposes agreeing with TONS of people not being attended or medicated because of their incomes,or social position. I don’t want to sound like a communist, or something like that, but, those people just touch my heart.Isn’t enough for people to struggle with this dissease, so struggling with such an unfair health system? Just my opinion. Maybe you don’t have any control of which adds are being placed on your website. In that case, (which is most probably) I’m in a big mistake. Best regards, huges and love to all RAers out there!! Jorge, the ads Google shows you have everything to do with what they detect that YOU are doing online and nothing to do with me or with whatever site you are on. You’ll likely notice those same Google ads as you go to another site that has subscribed to their ad service also. What a fantastic post. I think through our comments we might beat the 51 patients in Mt Sanai. I started my first and only bio so far on July 2nd, Humira. At that time I was on a maintenance of 20mg prednisone but I still had severe flares. Three days later I was having dinner with my husband and a close friend. My wrist was in flare making it feel broken (I’m sure you all can relate), when suddenly….and I mean SUDDENLY all the pain was gone. It literally went from very painful and hard to bend or use to completely fine in the space of minute. I didn’t dare believe it could be the Humira working that fast but now I know it was. Over the next few days this began happening several times in several joints. I’d get a flare, it would continue for a few hours and then magically stop. By the time I took my second shot I knew I was one of the lucky ones that get a response quickly. My prednisone is down to 4mg now and it is only my body’s physical dependency that makes coming off it completely such a slow process. Now my flares are so minor and short lived that if I didn’t know I had RA I wouldn’t know I have RA (hope that made sense). My morning stiffness completely disappeared and my improvement swings between 70 and 100 percent with a current average of 86%. I track my disease activity daily so I can look back and get an accurate average. The last two days have been at 5 percent disease activity and I just had my 5th shot. Before I started I was so bad I couldn’t dress myself or brush my hair, let alone stand from a sitting position or walk unless I stayed pumped up at 20mg prednisone. I wanted to write this for anyone just getting ready to start a bio for the first time or a new bio. I hope that for everyone a response like mine is just around the corner. Kelly, one day they will find your miracle drug and we will all dance. Lisa, I get flares like that too – they just vanish after a few minutes or hours. But they are in so many places at once, it’s still hard. I understand the “can’t even brush my own hair” stage – the Humira helped me get beyond that to “barely can fix my hair once a month” stage. I am so happy that there is hope it can get better than that! Thanks for giving hope to the rest of us that we will find that too. Where do you track your disease activity? I’ve tried a few sites online, but for me it’s so much more painful clicking & my sx are so much the same every day that I have not stuck with one. I made my own ‘tracker’ on excel. It’s not the greatest, but it seems to work and if I want to look up a phrase like ‘elbow nodule’ I can see every time I’ve written it down. It came in very handy when I had prednisone withdrawal problems as I found I’d had the same leg aches previously that had also coincided with the end of a prednisone taper. Back then I’d thought it was the RA but it now I see that it wasn’t. That is fantastic. I would love to see it. What if we could make one that is RA user friendly that people could download & use? Email me if you think that sounds possible. That’s a great idea to do a spread sheet vs. some website. I tried WebMD’s RA tracker and its stupid. It just says, its time for you to discuss things with your Dr. when what ever is programmed in there sees a spike! Agree. Beth & Lisa, I know another patient working on a program for us – we should work together to make something much better than webMD’s. I started with Enbrel self injector, but my thighs kept getting an infusion reaction bigger and itchier each time I injected (I also have asthma and have allergies), I would take benadryl daily to get the pain, swelling and itching to come down, but it took over a week and the welt would get bigger. Also, my other side was getting as worse as my dominate side of joints while on it! So my doctor switched me to Remicade (I’m also on 20mg MTX and 5mg prednisone daily). The infusion schedule for Remicade is 0,2,6-8 weeks but I had a thrush infection and the 2nd one was postponed. Now, I am on a retimed infusion because I’m having a flare (I think thanks to the weather change here in the NW) so came in a 4 weeks instead of the 6 weeks. I really don’t know if I can wait to change, first because its hurts and second its really expensive despite the insurance and Remistart assistance program. Sigh. I have been on 4 biologics. All, except Keneret, worked for a while. I have a good doc, who listens. He has been willing to change after 2-3 months of declining results. I am going on 3 years with Orencia, longest run yet. Results have been very good and they continue. Hopefully, I won’t be making any more changes. I hope so too Bill. So far none have done much for me, so I can imagine you would want to keep the Orencia forever if it’s helping!! Kelly, you ask a good question. I started out with Enbrel which I only took for two months. I kept getting sinus infections, so rheum doc put me on Remicade. Remicade helped me tremendously. I took a stiff dose monthly and towards the end of the month counted the hours until I got my infusion. Sadly, I developed a melanoma which eliminated Remicade for me. (Melanoma was stage 1, encapsulated and removed with wide margins).Next came Orencia. Now here, the ‘6 month rule’ came into play. I felt no better on Orencia and wanted to switch. The RN’s at the IV center and my doc convinced me to wait at least 6 months. In the end, I was on Orencia for 8 months felt worse every day. In July I started Rituxan. I have had two initial infusion, two weeks apart and now we are playing the waiting game. One month into it, and I do believe I am feeling better. My hands are less swollen, and I have more energy. My hips still hurt enough to cry in the morning, but once I’m up and around things get better. Looking back perhaps I didn’t give Enbrel enough time before asking to be switched, perhaps the rheum doc waited too long keeping me on Orencia. I guess you should switch when it becomes clear to patient or MD that the current med isn’t working. WebMD had a similar article today. I think there is no such thing as too soon. When I was first diagnosed it was 1988 and there were few agressive options beyond gold injections. Today, over 20 yers later, I am still dealing with pain and loss of function from early joint damage. I’ve been on Remicaid and Actemra (I’ve tried Orencia) and I can FEEL a change in my RA and I worry less about continued damage to my joints. I still have active RA but there is improvement thanks to the biologics! My RA still goes into what I call Mega-Flare about every 3 or 4 months even with Enbrel. However that Mega Flare would happen about every three weeks without it so it was quite an improvement. I could feel the Enbrel helping within 3 months but it took more like a year to really feel it. I still feel that Methotrexate does a large part of the work, maybe even just as much. Thank you all for sharing! 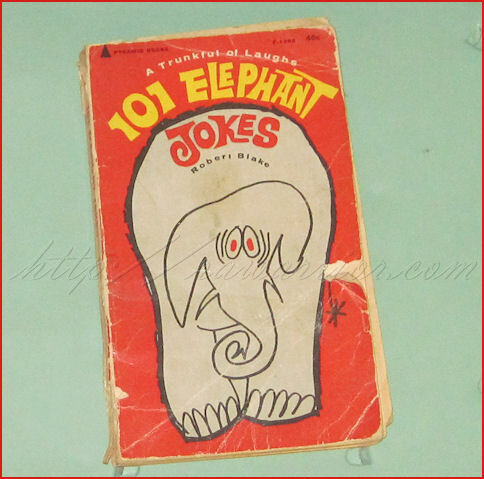 LOVE your elephant jokes Kelly——brings back lots of memories! HA! I’ve only been on Remicade, and it seemed to help at 1st. That med was chosen by my Rheumy and GI Doc. Even though it doesn’t help my RA anymore, it has kept my UC in remission for a year! I’m afraid to swith to anything else, but sure would like to be on a med that helped both diseases. Anyone out there have a problem with laryngitis, sore throat, full feeling in the neck? I keep telling my Doc about it and he shrugs it off. Thanks for this! I’ve been on Humira for three months. I think it’s helping some. The peripheral joints and my energy are somewhat better, but my spine still hurts. Because I had a temporary total remission (for all of 6 weeks) on MTX, I keep thinking that “working” means no pain–being my old self. I was ready to give up and move on to Enbrel, but this post changed my mind. I’ll stay on longer and give it a fair shake. And I’ll hope for, but not expect, total relief. Better to know for sure that something isn’t working than to burn through the options too quickly! Good points. I’ll be you’d like to re-capture that 6 weeks!! I hope so. I am in limbo. I was on Enbrel for three years and it was my miracle drug. Got very sick from bronchitis, not Enbrel’s fault but the quack I was seeing at the time. Enbrel stopped working for me. Rheumy changed me to Humira three months ago and I feel awful. Feeling pain in joints that I haven’t for years. Before we tried Humira she said something about IV infusions. I AM NOT READY to go that route. Hoping to try another biologic that is shot based first. I am so discouraged because I was doing so well before and I though Humira was just pick up where I left off. The IV Biologics are the same as the shots – they just are delivered in a different way. The Enbrel and the Humira are both TNF blockers. Although they are not identical, maybe your doc is thinking that a different approach might give you more relief next time. It’s like shooting at an invisible target since diffferent RA responds to different Biologic response inhibitors. Either way, I hope the next one works for you. I was afraid for my first IV, too. I never had an IV for anything before. But, I’ve done fine. If you have to do it, maybe someone could come with you – I was so glad I had a friend this last new one. Thanks everyone for sharing. It’s difficult to to talk to non-RA friends and family who empathize but really don’t understand. I was diagnosed in 2002. One day after a bout of flu I woke and could not get out of bed. My joint assessment was 80% and I was willing to take anything to stop the pain. It’s been rough but I started on biologics five years ago. My family calls me “the lab rat” as being on studies you don’t have to pay for the drugs. I tried four different biologics before I get to Rituxan. Had a strange (allergic?) reaction to Remicade after the third treatment so they put me on Rituxan. So far I’ve had good results two and one half years now. My hands continue to flare with witchy looking deformed fingers. Nothing has stopped the progression there. I wear ring splints part time as I develop nodules where ever there is pressure. A side effect of methotrexate I am told. This is the best I have been – now I wonder about the long term effect of biologics like Rituxan. Also considering joint replacement for my hands. The IV time isn’t so bad – a good book, ipod, sleep or just visiting with the other patients and the time flies by. Karen, what does it mean “joint assessment was 80%”? Do they mean 80% of your joints are affected? Hi all, I’m sooooo glad we’re having this discussion! I have been diagnosed 2 yrs ago with RA, and a year ago with AS and i am on injections of mtx ever since. I added sulfasalazine in June, and next week will be adding Humira. I have mixed feelings about biologics – i am scared of long term effects, which do not seem well documented at present. But as there is no other acceptable alternative (apart from ouch day in and day out)… Thank you Kelly for this great subject! I don’t disagree about the small study, but I am a patient where the study took place and it seems to me that they want the optimum results for each patient. I rarely see people who show the effects of RA in the waiting room. I am on my first biologic, after quite a variety of Dmards and one clinical trial on a drug that did not succeed – I hear that the mammal tests were not promising. infusions have only had one infusion so far have my second one next week. Ive not been able to do biologics but have been on several dmards and some are 6 to 9 months wait time even if showing no signs at all of reduced disease activity (which has been me) So far ive been thru 5 dmards with no signs of help in any.. they will not allow me biologics due the price and my state health care.. so iam at an impass if you will going no where real slowly…. I pray each time i take a new dmard it is the last one and it will finaly work… (hasnt yet) maybe the next one…. My rheumy definitely recommends a 6-month trial if at the 3-month mark I have noticed some improvement. However, if after 6-months I have not shown a strong improvement we move onto the next option. I don’t believe that if a medication is not working or causing serious side effects you should still subject your body to it, if a rheumy thinks that you should I say find a more compassionate, understanding rheumy. My doc started me on Enbrel a little over 2 months ago. He said, “let’s try and see if it works without MTX”. I’ve had bad allergic reactions to MTX, so it was a lone attempt. The only result I’ve had was severely increased symptoms. Everyone said, “maybe it was just a flare” but I was in flare when I started it. I guess there are levels of “flare” as well. Anyhow, when I went back to my doc for follow-up, he took me off the Enbrel stating “since it is only making you worse, let’s stop”. At that point he asked what I would like to try next. I was clueless so he suggested Humira next. Still waiting on my financial aid approval before I start. I have noticed an improvement in my flare since stopping Enbrel so I’m convinced it was the culprit. I only took 6 injections before stopping. I’m hopeful that Humira will be “my drug”. I should have approval some time next week, hopefully. It seems to me that there is no cut and dried decision making process when it comes to changing biologics. Just like everything else with this evil disease, we never know what’s coming next! Was on Humira and for first 4 months was like a TOTALLY new person, then slowly went backwards to square one, with devastating mental & emotional effect. After longish break on to Enbrel which was way too finicky to administer with rheumy fingers and a stroke-impaired hand, and benefits not enough to perservere. Now on Revellex infusions every 8 weeks – initially good result but psoriasis has gone wild (very mild before)and pain is back. Have several new RA sites since starting biologics, so do they really work or are they just temporary relief & need changing periodically? Marielle, that’s called Remicade here. I dont know if is working for you; I’d agree that new joints are not a good sign. For some patients they DO work better than that or longer, so don’t give up trying to find one. Many of us are in this situation. And new treatments are being investigated so we don’t lose hope. Sorry should say that I am in S Africa – only a few approved biologics here and Enbrel comes in fridge pack where you have to mix the injection yourself. Kelly First i want to thank you for your work.Dont know how you do it! Im so gratefull for this place of yours that i can go to when the world isnt treating me right! lol I get help for my Humira.I have to reapply every january..I dread the Holidays coming cause Jan. is right behind it..So i send in my application and there is always somthing new that they need…I know this is coming every year so im thinking im ready. Bring it on! As soon as the meds wear off im in the bed and hurting.Life is almost unbearable.I read how you and others were wondering if the biologic works after awhile. So im getting really worried if it will work for me again.I get so stressed that i hurt worse. Then it comes and i cant do it fast enough! So i sit waiting and wondering if it will work..1 day goes by 2 days..then bam! i feel 70% better! Yes i got my legs back.They dont feel like 2 tree stumps that hurt so bad that i have to stay in bed.Thank you Jesus! I pray alot! I pray for all of you! I pray that ya’ll get some relief and have a painfree day. It cant hurt to pray..Thanks again Kelly Your an angel in my eyes. I’m so glad it works for you even if it’s temporary and only 70%. I’m so glad you get something from it – hang on & try not to stress dear lady. I do pray for all of us too. I pray for a cure & treatments that will work for everyone & long lives w/ caring families. It cannot hurt to hope & pray – you are right. I was on enbrel for 6 weeks. I experienced chest pain, extreme chills and shortness of breath right off the bat. Also very bad dry mouth. I went off for 3 weeks and went into a horrible flair and could barely move. Doc talked me back on and after 4 more shots, I was in the worst pain of my life. I could barely eat, lost 20#s and cried everyday. I was completely depressed. Keep in mind that I had been on 5 mg off prednisone but stopped pre enbrel due to some damage to my teeth. I decided I could not handle anymore Enbrel and doc wants me to try Humira now which I am refusing. I am back on low dose prednisone (7.5 and trying to get to only 5) and I am inclined to stay there as it helps me a lot. I am greatly fearful of the biologics. Thank you so much for all the great info. I am going to a new rheumy tomorrow and I pray that he will see past my negative RA factor and start treating me agressively. I have done all my homework and have everything written down. 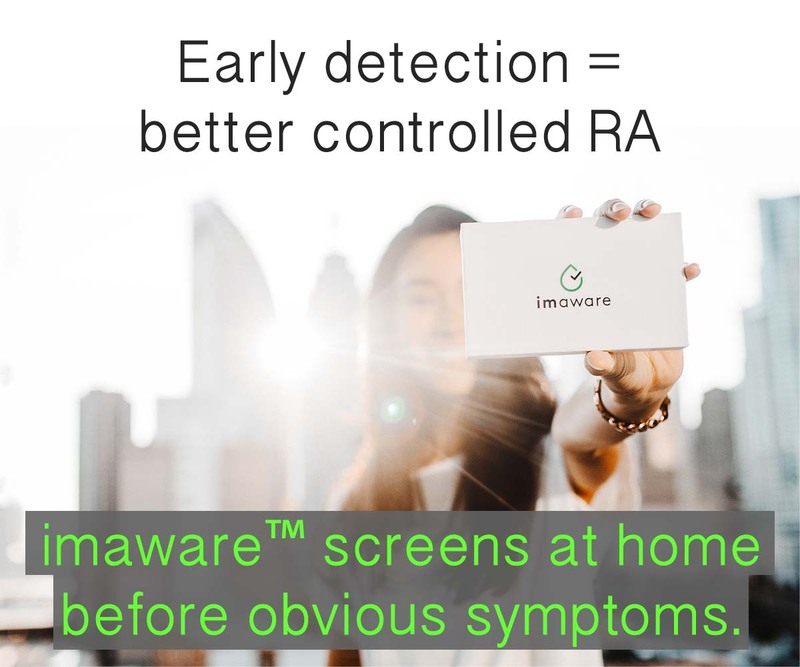 RA w/negative RA factor runs in my family heavily. My sister has had it for 20+ years now. I have been flared up bad since April and am reduced to laying in bed. Lost my job, my life:( I can’t take the pain anymore. I want to start with methotrexate & Embrel. I also found an NASD that is easy on the stomach, Vimovo. Has anyone tried it? I have 3 ulsers from taking so much Advil. Good luck w/ the appt! 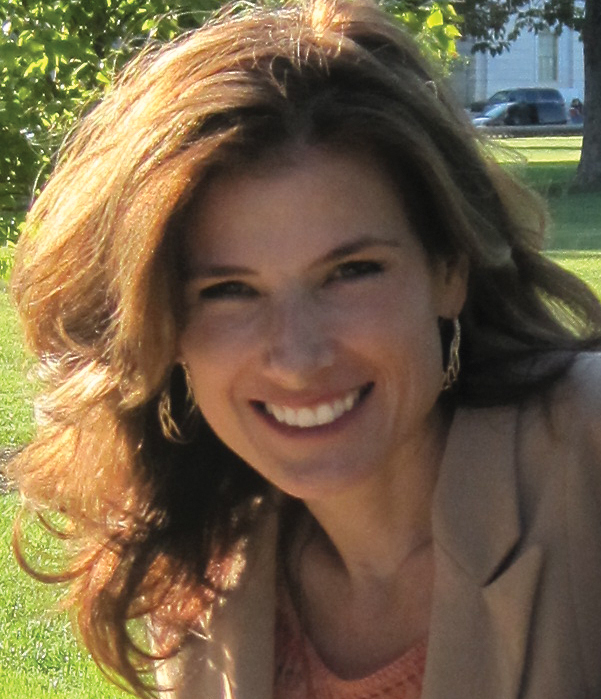 Kelly, thank you so much for this site and all the research you do and information you share. I wish you all the best for success on Rituxan; I’ll be watching closely. From Facebook today (Oct. 9): Thank you for pointing me toward the biologic DMARD info posted here on your site. I was curious how RA patients reach their decision to try the next biologic. Here’s my situation: After failing MTX alone, I moved to Enbrel plus MTX. Enbrel worked well for ONE WEEK. And stopped. My rheum gave it four months, but it never worked again. So next I moved to Humira. It worked incredibly well. In fact, absolutely amazing. For ONE WEEK. Another major disappointment, but many of you have experienced that same disappointment and frustration. So I’m leaning toward Orencia. The logic your rheum is using is common thought now. I think it makes sense. As far as the one week response, the meds are known to take weeks to build up in your system, so it’s possible that it was a coincidence that your RA improved both times and not a drug effect. However, RA is a strange bird, so it’s possible your immune system had an unusual response. Anyway, Orencia is a good medicine, if you aren’t a copd or asthma patient. There is an orencia post or 2 around here – on that list. it’s ok if it’s a big deal to you – you have to live with that. 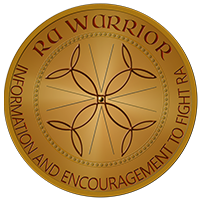 Never apologize for how RA makes you feel – it is a devastating disease and you will no doubt fight hard most days – it’s ok to have some weaker moments. And thanks for the good Rituxan wishes! It was a big step for me – maybe this will be my answer! I am an almost 51 year old female and I have Plantar / Palmo Psoriasis and Psoriatic Arthritis. Arthritis since I was a teenager, although not diagnosed until age 46 and Psoriasis since age 40. Arthritis flares were treated with rest & NSAID’s. Psoriasis was treated with every Rx cream & ointment available. During late summer & fall of 2011, I had the longest, most severe flare of both psoriasis & arthritis I’ve ever experienced. My dermatologist, who had been asking me to consider Biologics for over 2 years, finally told me I really didn’t have a choice anymore. The blisters & sores on the soles of my feet were 4 skin layers deep and covered 60% of each foot. I was in danger of losing one or both feet and I agreed with my doctor. I began Humira with remarkably quick success! Within 2 & 1/2 weeks, both diseases were in total remission. My doctor & I could not believe the transformation! After 3 weeks, I developed a bad cold which at week 4 turned into a sinus infection & bronchitis lasting 4 more weeks. At 6 weeks, still very ill with URI’s, I developed skin fungal infections in numerous locations (never had this before). At week 7, I was beginning to recover from the URI’s; however, I came down with Bell’s Palsy. My doctor then sadly insisted that I quit the Humira stating that my body is just too sensitive, over-responding both positively and negative and she (dr) was not comfortable risking further negative responses. I became very depressed as I discontinued the Humira because it had been a miracle cure for both my arthritis & psoriasis. While taking Humira, I felt better and stronger than I have felt in over 35 years… in fact, I honestly had forgotten what it was like to live life without severe pain and open wounds on my hands and feet. For the first time in my adult life, I had had hope for the 2nd half of my life and then that hope was taken away from me. I must say that the hope I’m speaking about in the Humira was hope for my physical body only. I do have Hope in my Savior, Jesus Christ for His Glory in my life spiritually and I believe in His Hope of Glory for my restored body in heaven when He takes me home to heaven to live with Him forever. Back to my physical, health struggles – I will begin Methotrexate & Folic Acid when my husband and I return from a trip week after next. My doctor doesn’t want me to begin the Methotrexate while so far away from her. I wish I could try one of the other biological medications, like Enbrel and the others, but my doctor feels that they are so similar that I would have the same negative responses; therefore, she (dr) has decided that Methotrexate is different enough that it is worth a try for me. I enjoy your website and thank you for writing about your experiences and sharing your knowledge. My prayers are with you and your son! I was on Enbrel for a year and a half. I started having terrible leg pain. I went to GP. He gave me support stockings. Cardiologist. Nothing wrong. Rhueme told me it was my arthrtis. I didn’t believe him. I thought it was my Zetia. Continued for about three months when I figured my Enbrel had quit working. Pain was out of control. I has taken 4 shots of Simponi so far to get things under control. I just has a painful flare for 1 month. Called Rhueme. Put me on 7 day steroid pak. Felt better for 8 days. Now on 5 mg of predisone. Helping. I’m limited because I’m allergic to aspirin. This arthritis is a living hell. But I’m not going to let it beat me. I’m so happy to be getting information from everyone. Before biologics I was on Arava and MTX, Had adverse reaction to the Arava and no real relief. Started my Biologic journey with Humira with limited relief during the first year which declined to nothing at about month 16 stayed on it a total of 18 months while deciding on next step ( I am needle-phobic so my hubby gave me the shots) my doctor had me continue the shots until I started Remicade since even though I wasn’t feeling better he wanted to keep some in my system. Remicade was like a miracle, having been without any real relief for close to 10 months I felt the difference within the first 2 weeks. Remained on Remicade for 4 years before noticing more frequent flares and my inflamation numbers rising. 6 months later I was back to the inflammation and pain levels pre Remicade. Meanwhile still on Celebrex, mtx and folic acid. Spent the last 8 months on Remicade with frequent rounds of prednisone finally put on a maintenance dose of 10mg. (gained back 30 lbs I had lost and kept off for 2 years to help lower liver function results as I had developed fatty liver disease – weight gained back within a 2 month period of time). On to Actemra, I was warned not to expect early results like remicade. Dr started me on highest dose – no build -up since I was having so many flares, he said expect at least 6 months for signs of improvement….month 6 came and went Rhuemy retired and new one in the same practice became my doc. New doc is not a Rhuemy but a D.O. who did his residency at the Mayo Clinic. What a change in the way of treating the disease, I also have fibro, which was put on the back burner by former Rhuemy. New doc hooked me up with a Rhuematology Nurse group that works primarily with fibro and non pain killer drug therapy. Between new doc and nurse group hand therapy and physical therapy have been added to help with pain relief. Gave Actemra a full year with never a change in inflamation etc. Due to high liver function tests new doc has suspended mtx and added plaquenil. At 10 month mark put in for approval of Orencia, told once again only time will tell – have had 3 infusions and will give it 6 – 12 months for results before making any other changes. Though I am curious about the remark about Orencia and Asthma (I knew about problems for people with COPD and Diabetes) I have asthma and am wondering what I should watch for. Thanks for a good read with all the posting on this subject of taking Biologics! I went through Enbrel starting last November with no improvement and have been on Humira for 2 months now with no improvement yet, but are hoping that it will kick in soon! I feel better with reading others posts with how long they’ve had to wait for improvement. My next Rheumy appt. is April 22nd, so I’m hoping that it’ll start by then. I was using HUMIRA for 2 years and then the dreaded age, 65 came to me. Guess what when you go on Social Security and a secondary insurance, Medicare wont pay for the Humira but will pay for an infusion given at the drs. office. Now they both cost the same, but now I can’t use the one that worked for me. So in the last 2 years I have tried, Cimzia, actmera, and now on a 5 hour infusion twice every six months. I am a hard one when it comes to telling the doctor how I feel. I will tell her I am fine and she will say no your not, your blood work is not good and your swelling in your hands is bad. So what do I say but if you say so! Has anyone had the blood test called Vectra? it is supposed to measure 12 Bio-makers for Rheumatoid. Well mine keeps going up which is not good. The doctor is frustrated with me. Then she scared me to death and said sometimes when peoples Vectra keeps going up it is because they have cancer??? So luckily I have had all my annual screening and they were all right. I’m so sorry about the medicare mess with your meds. I have never heard that about the Vectra test. It has nothing to do with cancer. I’m wondering if she was referring to one of the particular proteins that is part of the test. Still, I wish I knew what she was thinking. It’s not good your test result keeps rising. The scoring process has recently changed, so make sure your new score is actually higher considering that. I plan to write an article about the DA test for the blog so I know you’ll see that when it comes.